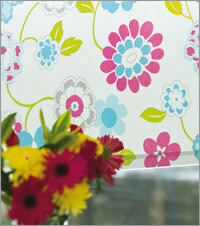 What better choice for the windows of your home than some gorgeous roller blinds. 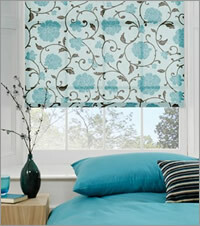 They offer the ideal solution for dressing the windows of any living room, bedroom, bathroom or kitchen. 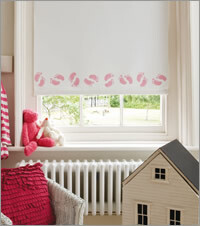 Our stunning range of made to measure roller blinds are available to buy online in a wide variety of fabulous fabric styles. From the latest funky patterned designs through to modern classics. There are simple designs, woven materials, textured and plain fabrics as well as bold and shimmering designs which we have lovingly chosen for our luxury online collection. 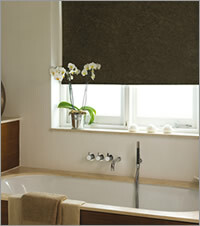 Maybe you require some waterproof blinds for your bathroom, utility, wet room or kitchen? 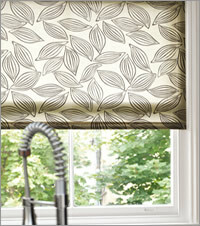 Obviously not all fabrics are suited to damp conditions, and shower curtains are great for the bath, but for the windows you require something more robust. That’s where our gorgeous water resistant fabrics are the perfect choice. With a huge choice of designs and colours as well as both traditional and contemporary patterned fabrics to choose from, there is a style to suit any home’s interior décor and add both practicality and good looks to the windows. 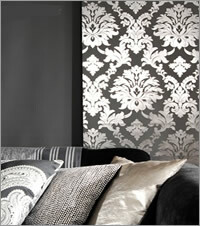 If you require a blackout fabric for the bedroom, our luxurious range is second to none. 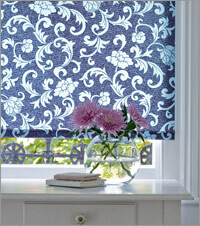 We have plain and patterned blackout fabrics, as well as some of the most exquisite and funky blackout colours available. There are neutral beige and cream hues as well as some wonderfully colourful, bright and vibrant lime green, red, blue and pink fabrics that are perfect for a baby’s nursery or children’s bedroom. All of the materials we use in our thermal blackout fabrics are ideally suited to blocking out the early morning sunlight ensuring both you and your kids gets a good night’s sleep. Whether your home is a classical masterpiece or an ultra-modern and contemporary living space, we are confident there is some luxury made to measure blinds amongst our huge online collection that will transform the windows of your habitat. Wherever your require some luxury roller blinds for, whether it’s the conservatory, patio door, a sash bay window or the French windows in your kitchen, we have a solution. Each material in our fabulous range of designer fabrics is practical, high quality and made to measure for a perfect fit. Our stylish roller shades will work beautifully with your existing or new colour schemes and will add a vibrant and fresh appeal to the appearance to your home’s windows. We choose only the highest quality fabrics and likewise with the British sourced components used in the manufacture of our blinds, ensuring you will receive a beautiful product and a lifetime of trouble free operation and maintenance. The only cheap element of any products we manufacture is the price. With our gorgeous collection of only the finest designer and contemporary roller blinds available to buy online and our free fabric samples service to test out your ideas, you can dress the windows of your home with style and elegance at affordable prices. So have fun browsing our collection and bring luxury and taste to your home with the most dramatic and funky patterned designs, or bring tranquil and soothing styling’s to your room’s decor. Quality: All of our rollers are made to measure in-house to the exacting standards with only the finest British components. Free Samples: Simply navigate to the fabric you are interested in and click on the "order sample" button. Max Width: 2800 mm Max Drop: 2500 mm * This may be smaller on some patterned designs. 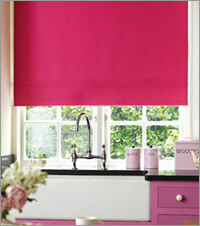 Extra Wide Roller Blinds: Contact us if you require some extra-large blinds, we have a solution to most requirements. Roller Tube: 28 mm diameter rust proof heavy duty aluminium. 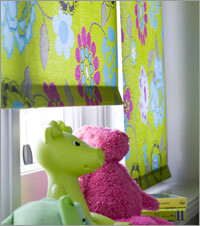 Fabric Width: Approximately 34 mm less than the total width of the blind including the fixings (unless you select "fabric size"). 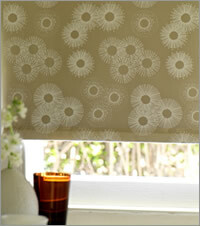 Fabric Join: Blinds larger than 1800 mm (width) x 2000 mm (drop) may require a join in the fabric. Bottom Finish: A contemporary looking straight edge that is either sewn or uses a fabric locking system into the bottom bar, depending on the look that is most suitable for the type of fabric. Bottom Bar: Very durable and strong high quality plastic bottom bar. Control: A smooth action luxury sidewinder for operating the blind which features an "easy break" child safety chain connector as standard. Fixings: Supplied with all the brackets, screws & rawl plugs necessary for ceiling, frame & side fixing. Cleaning: Dust them clean or simply wipe them down with a damp cloth.